Attack your tactical needs with the Camillus CK-9.5 fixed blade knife. 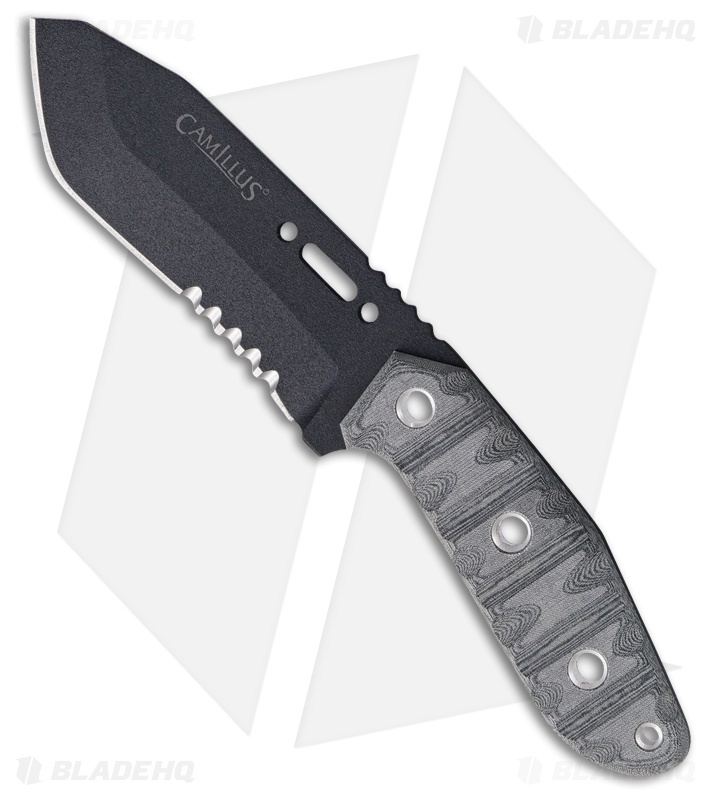 Full tang 1095 carbon steel, drop point blade with black finish and partially serrated edge. Black and gray micarta handle with lanyard hole. 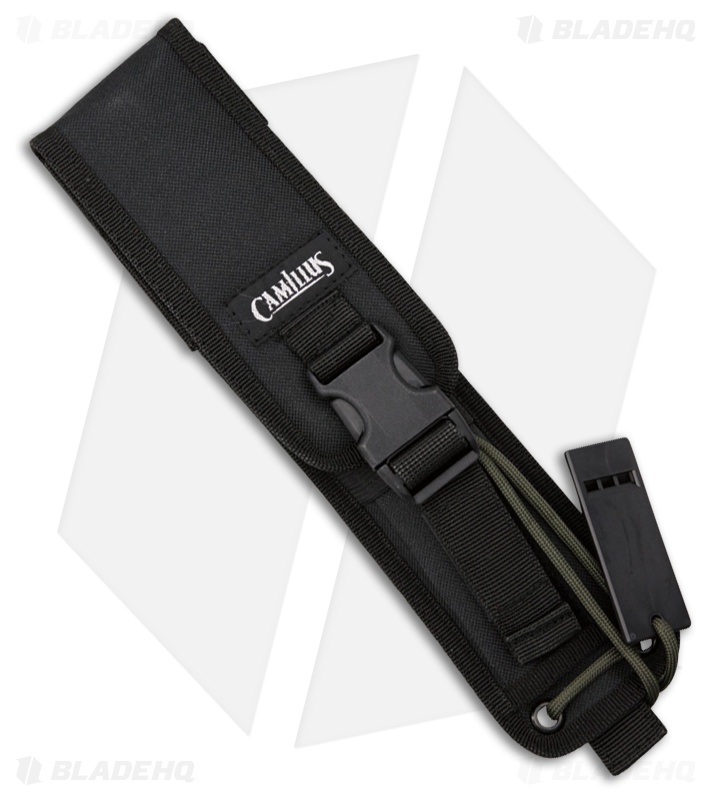 Includes black ballistic nylon belt sheath with front storage utility pouch, protective insert, and OD green paracord leg ties. Comes with black emergency survival whistle.